Plugin boards and hardware modifications can be a hugely useful route between using a stock controller and / or going for a full bespoke design. Equally, they can be a fantastic way of proving a concept before embarking on a full bespoke design project. Add a communications interface – for example RS485, CANbus, Modbus etc. Add an HMI – we can create range of plugin HMIs which can help you get the most out of your controller. These can go from simple button interfaces up to touch screen HMIs or remote control systems. Use a plugin board to enable compatibility with other components. Typical examples here include eternal power supply boards that can help power an encoder, hall sensors or related hardware that may be critical to a particular application. Help integrate with other features – examples include encoders, hall sensors or related sensor inputs. Plugin boards can be used to interface (where required) or power external sensors where required. Remote communications – we can add remote communications technology to all boards to enable remote control. IoT Connectivity – depending on the specific details it is possible to use plugin boards to create IoT connectivity with a range of our stock controllers. Plugged in directly onto the PCB via the box header or other connectors. Connected via a standard ribbon cable and/or related assembly. Connected via a custom made loom. 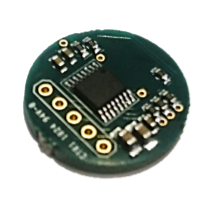 Mounted directly onto a main PCB that you have made up for your project or application. In other words, it is possible to mount the plugin board wherever you need in order to make your application function. These can be adapted to meet any specification points you require and can easily and simply be matched up with any pre-existing hardware you may have. 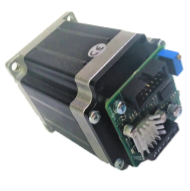 You need to change the footprint or envelope that a particular motor controller is taking up. 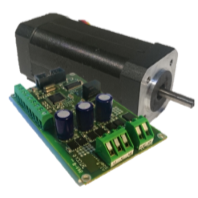 It is relatively simple to redesign a proven motor controller into a different sized or shaped envelope. It is often possible to reduce the size down depending on the board in question and the physical limitations specified. Add a specific feature – for example adding extra LEDs, extra inputs or outputs, data logging or onboard memory options. Changing the temperature rating – different controllers have different temperature ratings but it may be that you need to develop a controller which can meet more demanding extremes (whether on the low or high side). This is something that we have done for a number of customers in the past and are happy to carry out again. Change connectors – changing connectors or even removing them completely! Cutting weight – there are certain applications such as F1, aerospace or space projects where every milligram counts. If this is the case with you then we can look to reduce as much weight as possible from a standard controller. There are a large number of ways in which this can be achieved so if you’re not certain or would like to talk to us about this type of issue then please just ask. Remove unused features – it may be that there are certain features on a controller that you do not require. If this is you then we can remove these to help reduce cost. Reduce cost – if you’re a high volume customer and are looking to get the best possible unit price on a controller then we can look at a number of options with our stock range to help reduce cost. These modifications will obviously depend on the specific nature of your project or application and its requirements but we can help with this in any way we can. Meet a specific test standard – it may be that your project requires a specific accreditation or test standard to be met which our standard quality management processes do not cover. If this is the case then we can look at this and rework an existing design to meet this. This type of scenario is especially common in automotive or aerospace applications where additional certifications may be necessary. Don’t worry. This is a common situation to be in. If this is you then please do get in contact with us and we’re happy to discuss your requirements. We have an online chat system that goes through direct to our UK sales team. Equally we can be reached direct on the contact numbers at the bottom or top of the page. We’re happy to talk through your project and key requirements and are always interested to understand the various options. We work hard to understand your key constraints, whether they be technical, financial or temporal and we’ll come up with a plan as quickly as we can to help you achieve what you need to.